News by Matt S and Matt C.
For the last few years, one of Australia's foremost publishers of indie games has been Surprise Attack. That all changed earlier this week, though, when Surprise Attack surprised everyone with the announcement of a rebrand. The publisher is now known as Fellow Traveller, and it has a renewed focus on "funding, supporting and publishing unusual games, especially those with narrative at their core." Those sorts of games have been Surprise Attack's bread and butter for a while now—just look at the likes of Orwell, Hacknet, and Framed. 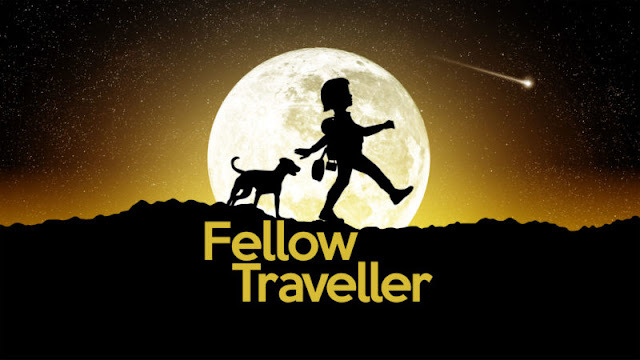 The new name certainly conveys that focus much more clearly, as does the new logo: a silhouette of a child and their dog, mid-walk, against the backdrop of a full moon. On Twitter, Managing Director Chris Wright described the change as being "a bit like re-rolling a character halfway through an RPG once you figure out how you really want to play." If the new name and logo doesn't say it all, Fellow Traveller's direction is very apparent in its catalogue of upcoming games. Neo Cab is "an emotional survival game about gig labor, tech disruption and the experience of being a driver-for-hire. "; In Other Waters is "a unique exploration game, where you must aid xenobiologist Ellery Vas in diving and studying the depths of a distant alien ocean. "; and The Stillness of the Wind, a follow-up to Where the Goats Are, is "a quiet rumination on life and loss." We at DigitallyDownloaded.net can't wait to see what else Fellow Traveller has in store. Grab you luchador mask - Guacamelee 2 is out next month! Guacamelee! 2 has a release date, and it's sooner than you might expect. Drinkbox Studio's next luchador-themed Metroidvania comes out on August 21 for PlayStation 4 and PC, at a USD $19.99 price point. The original Guacamelee! turned heads five years ago with its unique art style, smooth platforming, and deep brawler-inspired combat. It was full of humour, and took players on a rollercoaster ride through through the worlds of the living and the dead, inspired by Mexican folklore. A re-release jokingly dubbed "Super Turbo Championship Edition" refined the whole experience, and—most importantly—binned a whole lot memes that decorated the original game in favour of jokes that are actually funny. Guacamelee! 2 looks like more of the same, but that's no bad thing. It'll introduce new abilities like Eagle Boost, Rocket Kick, and Pollo Shot, a new character upgrade system, and… time travel? Whatever the case, Guacamelee! 2 is looking really good. It's only announced for PS4 and PC at this stage, but given the first game's eventual release on just about every platform under the sun, we'll hopefully see this one come to other systems later on. The producer of the brilliant Story of Seasons titles - Yoshifumi Hashimoto - has set up an all-new studio, which will be owned by his previous employer, Marvelous. 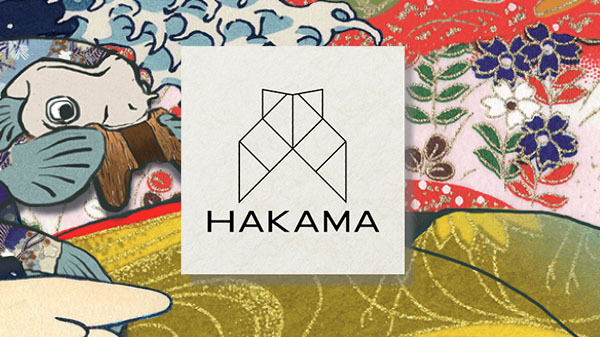 That studio is called Hakama, and it has given itself the most delightful tagline: "Let a let more fun into your heart!" It's going to be based out of Tokyo, and while it has been made public now, the studio has been in operation since January of this year. That's long enough for the developer to have commenced three titles. The first has a name - Dragon: Marked for Death, which seems to be a Nintendo Switch exclusive at this stage, and is being produced in collaboration with Inti Creates. The other two titles have yet to be given names. So it's very early stages for the studio, but with the kind of heritage running it that it does, we're sure this is one developer to watch closely. 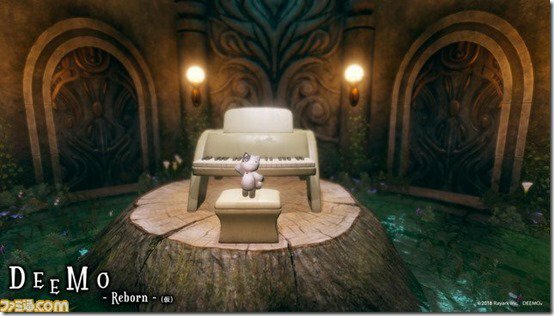 Rayark, the enormously talented rhythm game developer, is bringing a complete remaster of its piano music masterpiece, Deemo, to PlayStation 4, complete with PlayStation VR and Move support. You'll even be able to wander around the game's world in full 3D - in the other versions of the game you've only been able to navigate via a point-and-click style interface. But that's not the most exciting thing about the game. No. That's yet to come. According to Famitsu magazine, the game will feature new music, in addition to the existing 200 tracks in the original. In addition, the developer is promising that a "major" collaboration will be announced at TGS. Deemo is an absolute delight, and I do hope people with PS4s are really looking forward to this game. It's going to be amazing.